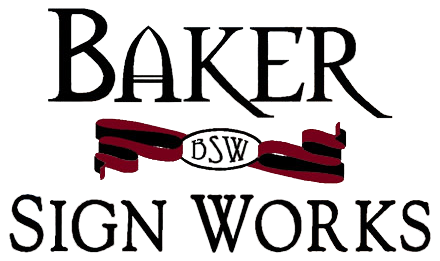 Baker Sign Works is passionate about our Mission to deliver excellence in Signage, Design & Service to our customers in Fall River, MA. As all the work we do is customized, the staff at BSW works closely with clients to understand signage needs, with a goal of building upon & improving a clients branding, professionalism & visual presence. Since 2008, we've been Southeastern MA's go to sign solution company. No project is too big or too small! Our team at Baker Sign Works is more than happy to provide a solution for you. Wondering what products we offer? Browse our portfolio below to see the many ways we can work to improve your visual presence! Copyright © 2019 Baker Sign Works, all rights reserved.